You don't have to be a country music fan to recognize that a handful of country music artists have managed to "crossover" into pop (known sometimes as country pop music). To be sure, some country fans don't particularly like country crossover artists or their music, and there are also a few pop fans who aren't all that crazy about country crossover music, either. But if you're a musician (or a record label), it means you're able to sell your music to many, many more people, and effectively become pop culture celebrities in the process. The country crossover musical genre, if you can believe Wikipedia (see http://goo.gl/BbhBn), first emerged in the 1970s. There were a few others that crossed over include Jeannie C. Riley with her smash "Harper Valley PTA" released in 1968 which later spawned a movie and short-lived TV series produced by Sherwood Schwartz), and another Lynn Anderson's cover of "Rose Garden" [a.k.a. "(I Never Promised You A) Rose Garden"] back in 1970, driven as much by music legend Clive Davis who helped that track reach #3 on the Billboard Top songs back in 1970 (it had already reached #1 in the country music category) as it was Ms. Anderson's vocals. Then, of course, there was Glen Campbell, who emerged at the same time as Jennie C. Riley did. Ms. Parton was perhaps the more successful of the two, achieving success not only in music, but also in the movies, having co-starred in the 1980 box office smash "Nine to Five" along with screen legend Jane Fonda, and TV (best known for her role on "Rowan & Martin's Laugh-In") star Lily Tomlin, and while that was Dolly Parton's first movie role, she also wrote the theme song to the film, which turned into one of her biggest hits, spending several weeks at number one according to Billboard. With "Nine to Five", Dolly Parton became the second woman to top both the U.S. country singles chart and Billboard's Hot 100 with the same single (the first was Jeannie C. Riley, who did so with "Harper Valley PTA" in 1968, the song which inspired a 1981-82 TV sitcom produced by Sherwood Schwartz which starred Barbara Eden; Schwartz was best known for "The Brady Bunch" which I wrote about previously, see my posts at http://goo.gl/tE0ur and http://goo.gl/X7dYp for more details). Those two paved the way for others, including Reba McEntire, and a whole new generation of country crossover artists. Newbies like Taylor Swift and Carrie Underwood are moving in the same direction. 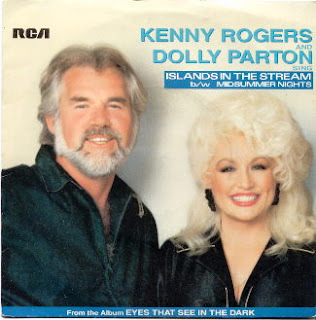 At the end of 2012, there were public radio interviews with both Kenny Rogers and Dolly Parton which were definitely worth listening to. In those interviews, we hear a bit more about their remarkable careers and the adventures both have had in becoming mainstream celebrities from what were arguably very humble roots for both artists. 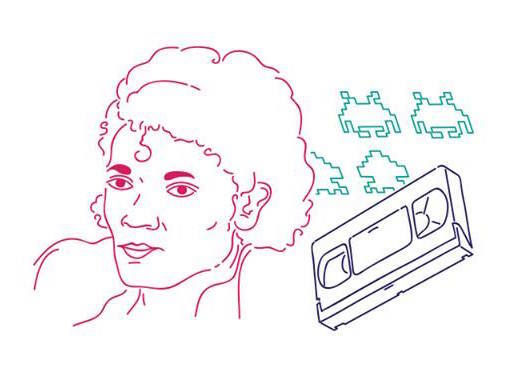 There's a also podcast known as "Bullseye with Jesse Thorn" (formerly known as "The Sound of Young America" which I may feature in a different post sometime soon) which is a public radio program/ podcast distributed by Public Radio International (PRI). Jessie Thorn hosted in-depth interview with Dolly Parton (and Judd Apatow who's at the start of the podcast) on December 11, 2012. 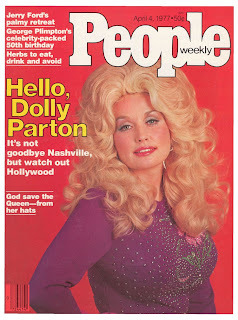 He talks to Dolly Parton, noting that her voice could probably have easily carried her through life. But her unwavering drive and embrace of hard work meant she was ready and willing to carve her own path, however, despite the great sacrifices such commitment required. In that interview, Dolly Parton discusses some of those sacrifices, how they've affected her life, and how she feels about them now. She also shares stories from her childhood (having grown up in a large family in the mountains of Tennessee, Parton has no shortage of fondly remembered anecdotes) and relates the story behind one of her most well-loved songs, "I Will Always Love You." Ms. Parton also has a new book out, entitled "Dream More: Celebrate the Dreamer in You" (see it at Amazon.com by visiting http://amzn.to/10KmcvG) which expands on a popular commencement speech that Dolly Parton gave at the University of Tennessee on her personal philosophy on life. That book was released in November 2012. Although newer country crossover artists like Taylor Swift (who hails from suburban Philadelphia, which was never exactly the heart of country music) are in the tabloids all the time these days, the newcomers could probably learn a thing or two from people like Kenny and Dolly about becoming pop culture icons. Don't get me wrong, I love her song "Mean", but there's also something to be said for learning from those who have gone down that path already. Or, maybe, they've borrowed a page from them already?